Sometimes you can be too small to get anything done. On other occasions you can be too big to get anything done. Here at Höfner we think we are just the right size to get things done! You'll have probably realised that we are a German company and you might even know that we are based in Bavaria. Perhaps you looked at our address and wondered where Hagenau is and what sort of town it might be, because, let's be honest, not too many people have heard of it. Hagenau is actually a small village situated on the edge of an area known as Swiss Franconia, a lovely region with sweeping hills and valleys covered in woods and meadows. You could be forgiven for expecting Julie Andrews to appear, bursting into song about the hills being alive with the sound of music. Actually there is a little truth in that as we have been building musical instruments around here for, well, a very long time. So there we are, in the corner of a little village, surrounded by meadows and trees, whistling while we work. 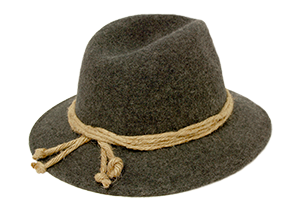 A small bunch of craftsmen wearing felt hats adorned with a feather, gently carving wood at the workbenches. We are in the corner of a small village surrounded by meadows and trees, which we rather like, but if you thought for a moment that we might be wearing felt hats with feathers then please think again. Höfner is in a position that many others would aspire to. We are small enough to be individual, personal and distinct but large enough to develop, improve and change. We have a great team here who, because we aren’t too big, all work together, know one another and act in concert to get things done. We can work together to solve problems, look at new ideas and work things out. Not every instrument manufacturer can achieve such a cohesive experience within their workforce, simply because it is too big or the workforce doesn’t feel as if it part of the overall team. Our workforce is, though, large enough for us to call upon a wide range of skills and years of experience. This allows us to consider and consult so that we can plan further development, find new and better ways of doing things and create new products with confidence. Our staff members tend to come to Höfner and then stay with us. Maybe we pay good wages! In truth they stay because Höfner is a happy place to work, a place where the staff are respected and part of the company, not just so many anonymous units of labour hired to make as much as possible at the lowest cost. And they stay because they like the meadows and the trees. 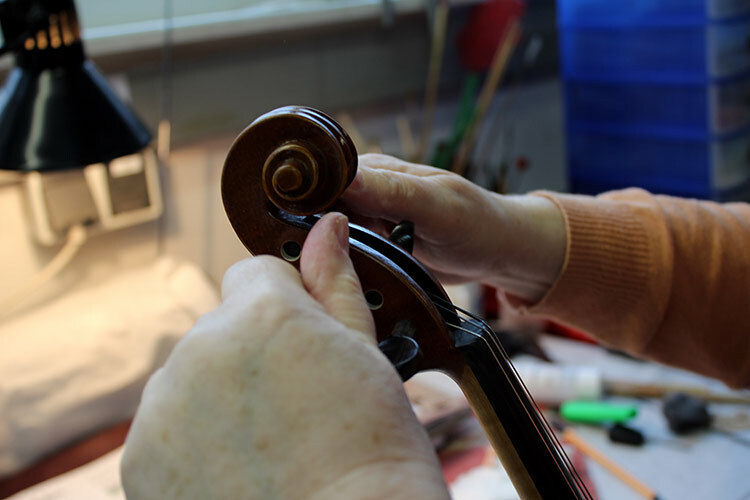 So your Höfner guitar or violin comes from a place where some thought, care and attention goes into its making, where everyone is involved from beginning to end in that process.